Sometimes life calls for a service that will help you get rid of the unwanted things in your home that are either too much to deal with, too heavy to remove or carry, or you would just rather have someone else do it. This is where Best for Less in the Palm Beaches steps in and takes over for you. You can schedule a junk removal pickup on the website or you can call 1-833-587-4268 directly and speak with our customer service staff that will take down your information and set up your dumpster to be dropped off right to your door. Best for Less will come down and provide an on-scene quote immediately as well. Your quote includes the manpower as well as the dumpsters themselves. Best for Less specializes in this exact sort of trash removal. They will come and remove all junk, they remove furniture, they remove appliances, they also can remove A/C units, as well as demolition. 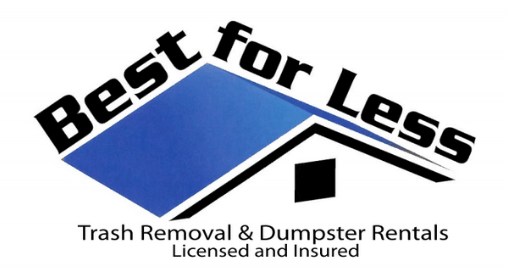 All of our West Palm Beach dumpster rentals are provided by Best for Less. They are a family owned and operated South Florida company. Best for Less prides itself on its, “Beat any price on a local dumpster guarantee.” They also offer day labor from some of the best workers you will ever have the pleasure of working with. If you have a construction project, home repair, condo clean out or anything else you need help with, these are your guys. The team and equipment are standing by, ready to help you get the job done fast! Call us today at 1-833-587-4268 for a free quote. Our customer service staff is waiting to assist you. Best for Less and WPBDumpsters.com proudly service the entire Palm Beach County area. This includes, but is not limited to: Palm Beach, Delray Beach, Wellington, Palm Springs, Greenacres, West Palm Beach, Palm Beach Gardens, Royal Palm Beach, Belle Glade, Highland Beach, Palm Beach Shores, Boca Raton, Boynton Beach, Juno Beach, Jupiter, Lake Worth, Riviera Beach, Lantana and the immediate surrounding areas.